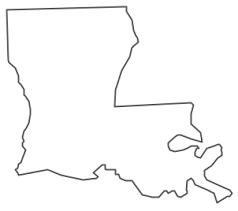 Louisiana currently has four waivers that are open to children. All are HCBS 1915(c) Medicaid waivers. Two of these programs waive parental income; we have not been able to obtain complete information about the other two. For general information on most of Louisiana's programs, see their Waiver Services page. Louisiana also has several adult-only waivers, including Adult Day Health Care, Community Choices, and Supports Waiver. Income Waiver: For children, income of other family members is not considered if the child receives SSI. Parental income is counted toward minor children for the month of admission only. The income of the minor and the income of the parent(s) with whom the child lived during the month of admission are counted together. Description from medicaid.gov: Provides center-based respite, support coordination, specialized medical equipment and supplies, aquatic therapy, art therapy, environmental accessibility adaptations, family support service, family training, hippotherapy/therapeutic horseback riding, housing stabilization, housing stabilization transition, music therapy, sensory integration for individuals with autism, IID and DD, ages 0-18. How to Apply: Visit your local community service office. Waiting List: Louisiana has 17,590 people developmental disabilities and 8463 children on waiting lists. Description from medicaid.gov: Provides center-based respite, day habilitation, individual and family support, prevocational services, supported independent living, supported employment, skilled nursing, specialized medical equipment and supplies, adult companion care, community integration and development, environmental accessibility adaptations, housing stabilization service, housing stabilization transition service, one-time transitional, personal emergency response, professional services, substitute family care (SFC) for individuals with autism, IID, MR, ages 3 - no max age. Target Population: Children and adults with developmental or intellectual disabilities, including autism, to move out of residential facilities. Description from medicaid.gov: Provides adult day health care, day habilitation, prevocational services, respite services - out of home, shared living services, support coordination, supported employment, assistive technology/specialized medical equipment and supplies, dental, community living supports, companion care, environmental accessibility adaptations, host home, housing stabilization service, housing stabilization transition service, nursing, one-time transitional services, personal emergency response system, professional services, transportation - community access for individuals with ID, DD, autism, ages 0 - no max age. Description from medicaid.gov: Provides independent living/skills building, parent support and training, short-term respite, youth support and training for individuals with SED (ages 5-17) and mental illness (18-20). How to Apply: Follow the instructions on this page.